Twenty years Procedural DATAFLEX experience! Have a legacy system that requires maintenance? Need help with DATAFLEX migration or conversion? Need help with Excel LOOKUP's, Pivot Tables or Mixed Cell Referencing? I take great pride in my work and in the quality of service I provide. My coding is clean, well structured and rigorously tested. If I contract to undertake a project, whatever the size and scope, work will be completed by the date specified if not before. My rates reflect the scope of any work undertaken and are affordable and hours billed a true reflection of hours worked. Most of my experience is procedural DATAFLEX programming, gained in a broad range of industries, including Finance, Technical and Local Government. 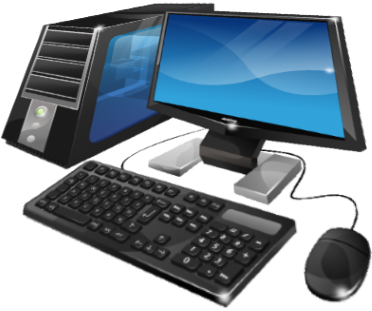 I have designed complete Dataflex database, data entry/reporting systems and maintained and enhanced large systems for major corporations. I have also designed and implemented websites utilising .NET, PhP/MySQl, HTML5 and CSS. 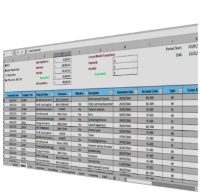 In addition to this I work with Excel spreadsheets using various LOOKUP functions, Pivot Tables, Named Ranges, Absolute,Relative & Mixed Cell referencing and some VBA. in the scroll section below are the Dataflex positions I have held. Most were temporary, contract positions but all were extended and indeed the 6 month contract for Homecomings Financial lasted over 8 years. In addition to these roles I have completed various small Dataflex projects. Senior DataFlex programmer, customizing and maintaining MortgageFlex, a loan origination system. This was a massive sytem that had been greatly customized over many years and I added complete 'suites' and new menus in addition to undertaking major modifications. Heavily involved in the data migration to an Oracle backend implementing the use of third party drivers to allow our .Net programmers to access the data. This was undertaken in parallel with moving from Unix to Red Hat Linux. This position, initially a six month contract, lasted over eight years. 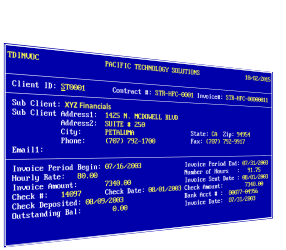 DataFlex developer customizing and maintaining MortgageFlex, a loan origination system on a Windows/Novell platform. This contract originally set at six months, was extended on a month to month basis. Dataflex database programmer, maintaining Pension/Savings Plan software system. Originally a 6 month contract, extended to 18 months, ending upon the Benefits Division being outsourced. Programmer maintaining Six Flags main software system written in Dataflex 2.3b in a Windows environment. A three month contract extended to sixteen months. Administrated one of Counterpoints main Dataflex database products additionally providing limited supervision of two programmers and as such had the responsibility to co-ordinate programming schedules and delegate programming tasks accordingly and personally undertaking considerable programming duties. Though the newest member of the programming team I was given sole responsibility to develop Dataflex software for on-site installation, which required writing and rigorously testing data extraction, table resrtucturing and reloading software, which I implemented at each of our five sites. Sole Dataflex programmer, maintaining and enhancing Service Centre III, a parts and labour scheduling software system. Enter the correct total to confirm you are real.